The leisure marine industry is a strategic market for English Braids. Continued development has ensured that the products are able to withstand the most demanding of conditions, allowing the sailor to push the boat to the limits of the design and their ability. It is for these reasons that manufacturers and end users alike, chose English Braids as a brand they can trust. 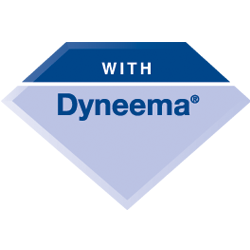 English Braids is a UK Dyneema® partner and manufacturer of ropes in the UK. Common reasons to use Dyneema® SK99 over other performance fibres.